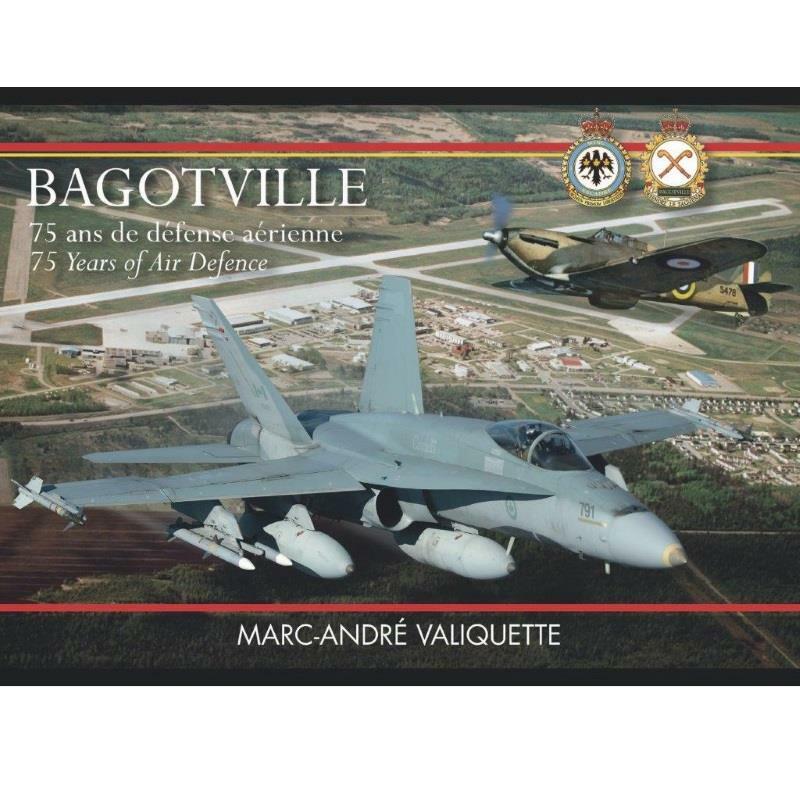 Books 24904 https://www.warplane.com/images/Products/24904.jpg A unique 512-page bilingual book recounting the history of the Bagotville Air Base, located in the Saguenay Region in the Province of Quebec. • The role of the base during the Second World War as part of Eastern Air Command. Operational training on North American Harvards and Hawker Hurricanes, as well as use of the latter and the Curtiss P-40 Kittyhawk in the air defence of the Saguenay Region’s industry. • Protection of Canada’s sovereignty following the reactivation of the base in 1951, the beginning of the Cold War and the formation of NORAD using the de Havilland DH.100 Vampire, the Canadair F-86 Sabre and the Avro Canada CF-100 Canuck. • The pursuit of Canada’s air defence and support of land forces from 1962 to 1988 flying the McDonnell CF-101 Voodoo and Canadair CF-5 Freedom Fighter. • Air defence in the high-technology era since 1984 with the McDonnell Douglas/Boeing CF – 18 Hornet, as well as the Base Flight and Rescue unit operations using the Piasecki H-21, Canadair CT-133 Silver Star, Bell CH-118 roquois and CH-146 Griffon. • The base’s related squadrons and units, including operations at Val-d’Or front-line air station and Mont Apica radar station. • The passion for flight demonstrated through air shows, the Air Cadets and the Bagotville Air Defence Museum. • Life at CFB Bagotville, its activities and its role in the community, as well as the history of the civilian airport. Description: A unique 512-page bilingual book recounting the history of the Bagotville Air Base, located in the Saguenay Region in the Province of Quebec.